Marc was really flexible and helpful with what we wanted. We had an amazing moment! Very recommended. Thanks Mark! Crooze was so incredible in every way. Marc and Cassandra were so fun and a hit with our guests! They were kind, responsive, accommodating, and knew exactly how to capture our wedding day. My husband and I will be back to Aruba for our anniversary and want to book them again if we can! Thank you so much, Crooze!! 5 stars across the board!! Crooze helped make our day perfect! We looked at a lot of different options at the beginning of our process. Having a wedding out of the country is not easy and we were nervous that we wouldn't find the right photographer for our wedding budget and needs. We found Crooze and from the second we inquired to the time we got the photos everything was exceeding our expectations. Pricing with Crooze is very reasonable and Marc went above and beyond for us! He helped capture the moments that meant most to us and helped give us a custom package to cut out the unnecessary times. Waking up and dressing up again in our wedding day outfits was quite the challenge but we are so happy and thankful that we did and were able to capture memorable pictures all across the island of Aruba. We especially liked Marc's style of photography. We loved getting teasers along the way until we ultimately got all the digital photos. Thank you again Marc, Cassandra, and team for a excellent experience! We would recommend your services to anyone getting married in Aruba. We contacted Cassandra and Marc to ask them to take pictures at our destination wedding at the Hyatt. They were very responsive. They were very helpful when due to scheduling on our end, we needed to change the date of the wedding, they were able to work with us. On the day of the wedding, Marc was there and ready to go. We received all our pictures, I thought, very quickly. He did an amazing job. The pictures look amazing. I would totally recommend them for anyone wanting their weddings photographed. Thank you again, Marc and Cassandra. Thank you for the magical photos! 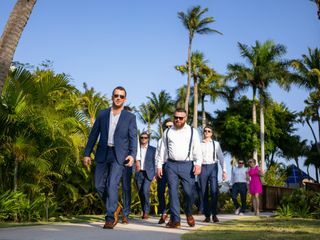 If you are getting married in Aruba Crooze Photography is the photographer that you are going to want to hire. Crooze is above & beyond everything I could have ever imagined! I found Crooze through wedding websites & looked at their photos on instragram & knew that I had to have them photograph our wedding. We booked Crooze almost a year out before our wedding (even before we had a deposit & confirmed our venue). Since we were having a destination wedding & not many people I know have had one I was full of questions. Cassandra & Marc always got back to me usually within a half hour maybe an hour at the latest no matter what time I sent them an email. Crooze was also very accommodating. When I had first booked them we had done a 5-hour package, but last minute my husbands family said that they were unable to attend so I reached out to Crooze to see if they would be able to add an additional hour & come an hour earlier so that way we can take all of our family photos before the wedding & they said not a problem. Crooze helped link us with our videographer as well & a couple of days before the wedding Crooze coordinated a meeting at the hotel that we were staying at to help go over all the shots we were wanting & the timeline from start to finish. The day of the wedding everything was so easy & they did an amazing job of capturing all the special moments & all the little details. My husband hates getting his picture taken because he always feels so uncomfortable in-front of the camera but with Crooze he did not mind getting his picture taken. There was minimal posing, for the most part they captured everything & everyone in their natural element. Crooze did an fantastic job of making sure that only our guest were in the photos. They were able to work angles & move bystanders out of the pictures were being taken. All of our guest told us after the wedding that our photographers were on top of everything & doing everything they could to help get wonderful shots. They were even able to get a picture with us & all of our guest. The day after the wedding we got 10 teaser photos which made me so anxious & excited to see the rest. About 2 1/2 weeks later we received the rest & I was floored with the AMAZING photos that we received they were absolutely stunning. Marc & Cassandra are top of the line & it shows in their work. Thank you for being the magnificent photographers that you are & helping to capture all the magical moments & memories that our friends & family are going to cherish forever! Marc & Cassandra made our wedding day absolutely perfect! We met them 2 years before our wedding and we instantly felt comfortable and, of course, we loved their work, so choosing them was easy. The day of the wedding they made the pictures so easy and fun. We just got our images back (less than a month after the wedding! So fast!) and they were everything we dreamed of. The perfect mix of bride/groom, family, dancing, decor, candid shots, etc. We cannot thank Cassandra and Marc enough for their beautiful work! If you’re having a destination wedding in Aruba, Crooze is the ONLY way to go! 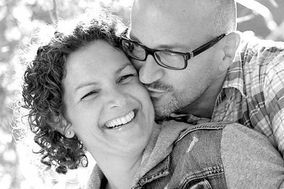 Cassandra & Marc- we thank you from the bottom of our hearts! Over this past summer, we had a fairy tale of a wedding, Cassandra and Marc took the most amazing photos, and we can't thank them enough for capturing every moment of our beautiful wedding day. Each and every picture came out simply amazing! They were more than photographers. From the beginning of planning our wedding to the actual day of the wedding they offered us advice, support and guidance that helped make all our dreams come true! I could not have asked for a better experience - Cassandra and Marc were so patient, personable, and accommodating! So talented & wonderful to work with. I highly recommend them for any of your photo needs in Aruba! A photographer is one of the most important aspects of your wedding day, especially when you have a destination wedding. A lot of people will only be able to experience your wedding through photos. If you are reading this trying to find a photographer for your wedding, stop looking. I had the pleasure of meeting with Marc and Cassandra a year before my wedding while I was looking for a photographer. Just off of our first meeting together, I said “how do I get you a deposit?”. They were so kind, warm, happy, and fun which is important on your wedding day! You can’t just go based on the photos because you need to be able to be comfortable and work together. I was a bride that was definitely on somewhat of a budget however, it was 100% worth cutting in some less important areas and making it work in order to have them as our photographers. We had them for 4 hours (enough to capture putting on the dress/getting ready final details up to 30 minutes through dancing) and we ended up with 470 absolutely stunning photos! So worth every penny. 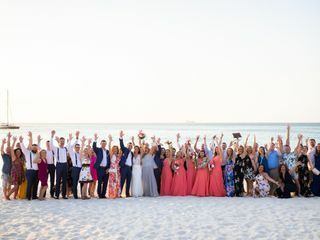 I have to commend them also, because my husband and I decided we wanted to move our wedding time to earlier than normal beach weddings which I’m sure made it more difficult for them to adjust to the lighting. They never made us feel bad or acted irritated that we might have made it harder on them and they adjusted AMAZINGLY! Something else to note was that on the day of the wedding through all of the craziness we still had not given them our final check! NOT ONCE did they mention it. I was more concerned about getting them the money than they were! Finally, I can’t even express the joy that their photos have brought us. I have always feared that I wouldn’t look good in my wedding photos (I’ve gained some weight in the last few years). I’ve had a vision of what I wanted my photos to look like since I decided I wanted to get married in Aruba at the age of 18. The photos were everything I imagined and more! THANK YOU! Marc and Cassandra were absolutely wonderful! I had scoped out their photography on their website and social media for several months before reaching out to them to photograph our wedding at the Hilton Aruba. We are so happy with our decision! When we emailed Crooze, they responded almost immediately and made us feel special throughout the whole process! Their response time to any email we sent was almost instantaneous. That was really important to us since we were planning our wedding from so far away. They were also extremely professional and flexible to our wishes. We were blessed with an amazing sunset that Marc captured brilliantly. We have now received our photos and we were simply blown away. We would highly recommend them to anyone who needs a photographer in Aruba! Deciding to have a destination wedding is nerve-wrecking enough. On top of that, not being able to meet with your vendors in person until the week of your wedding is daunting. When breaking down our budget, my husband and I both agreed that photography was our main priority. These will be the pictures we have forever to showcase the happiest day of our lives. We wanted to illustrate the beauty of Aruba without losing the island’s integrity and filtering the photos to death. Booking Crooze Photography was by far one of our best decisions! I mean, their portfolio speaks volumes of their talent. Crooze Photography is known for working with natural light, which is exactly what we were looking for in our wedding pictures. Immediately upon reaching out to them our nerves about capturing the perfect pictures for our day subsided. Marc & Cassandra are timely, professional, and full of energy. Once we were settled at the resort, Marc came to meet us to discuss the timeline, must-have pictures, provide advice for the day of, and to answer any and all questions we may have about the process. This alone went above and beyond our expectations, and again, calmed our nerves. On our big day everything felt natural and comfortable – everyone was enjoying the moment. There were even times we forgot that hundreds of amazing images were being taken of us. Marc and Cassandra really are that good! Like most couples, finding someone to capture one of the most important days of our lives was priority one. We debated bringing a photographer from home with us to Aruba, but decided we wanted to find someone local who was comfortable shooting in the weather and who knew the island. We found Crooze Photography on Wedding Wire and proceeded to their website. Absolutely blown away by their portfolio, we sent an email and received a reply almost immediately. Marc and Cassandra were responsive and professional answering all of our questions, and made us feel very comfortable even before arriving on the island. We booked a four hour session on the wedding day and a trash the dress session the day after. Marc met with us the week of our wedding, reviewed our timeline, accommodated our unique requests, and gave us fabulous pointers to keep in mind on the wedding day. Our big day came and Marc and Cassandra were amazing! They flowed effortlessly and were super flexible. They made us feel like we could be ourselves and have fun. They captured beautiful candids as well as posed moments with our family. They listened to our requests and guided us to get the perfect shots, and the trash the dress session was just as incredible. We were able to visit three locations around the island, play with our wardrobe, and capture the natural beauty surrounding us. Less than four weeks later we had hundreds of gorgeous photos and an unbelievable experience. We would highly recommend Crooze Photography for your event! They say pictures are worth a 1000 words and we knew we had to have the best photographer for our wedding day. We found Crooze on instagram and we instantly knew we wanted to use them. The husband and wife duo was absolutely amazing. They made sure everyone was posed correctly, hair was in place and everyone was smiling. I am so happy with the way the pictures came out and the professionalism we experienced. I highly recommend them to anyone who is looking to have pictures taken in Aruba. We used Crooze for both our engagement and wedding photos and are so happy with how both turned out. Cassandra and Marc are true professionals and genuinely listened to everything we wanted. They are the best of the best! I can't say enough good things about Crooze Photography. We traveled to Aruba on vacation, and thought that it was a perfect opportunity to take our engagement photos. Marc picked us up at our hotel and drove us to some great spots since we were not familiar with the island. He was super nice and easy to work with. When we got back to the hotel, he said there would be some teaser photos up in a couple days, and all the photos would be available in two weeks. Well within hours, 8 teaser photos were posted, and within 4 days, we received all our photos and absolutely love them! I would recommend them to anyone traveling to Aruba and wants to capture some great memories! Cassandra + Marc were friendly, kind, and the photos were absolutely just breathtaking. We were thrilled to have them capture our images during our honeymoon trip to Aruba. We went to 4 different spots that were relatively close, but provided us with a variety of different backdrops. 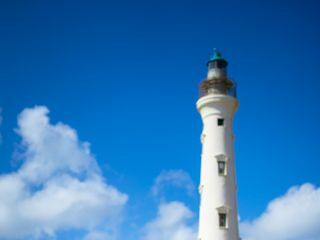 If we are lucky enough to be able to re-visit Aruba, we will definitely be capturing more images, without a doubt! We got our teasers the same day and all of our files about a week or so later, so the length of time in-between was perfect. Unbelievably great people to work with and AMAZING work! 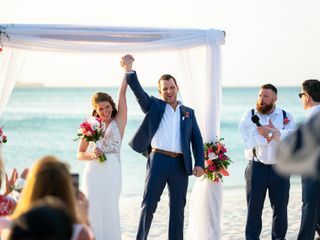 My husband and I got married in Aruba June 2017 and received our photos 3 weeks later. We relived our wedding in the photos and could not have asked for anything better. Very talented photographers! Phenomenal people to work with. Very professional, communicative and know exactly what shots to get. I cannot recommend them enough! My husband and I got married on Renaissance Island in May 2017. Words can not express how amazing Crooze was. Marc and Cassandra are truly amazing and captured every moment of our day. We went to Aruba over a year before our wedding to meet with them since my husband is a professional photographer and couldn't just have anyone shoot our wedding. From the moment we met with them they showed professionalism and made us feel very comfortable. Its not easy when you are dealing with things thousands of miles away but they made it very east to communicate with and answered all of our questions and concerns with almost immediate responses. On the day of our wedding they were more than just photographers. They were on top of every next step to our day. Cassandra took notice to every little detail concerning my hair, make up and dress to make sure it was always picture perfect. They weren't the cliche wedding photographers who stage every image with over the top poses. They captured the beauty of our day with many memorable candids, freezing so many great moments in time. We highly highly recommend booking Crooze Photography for your dream wedding in Aruba. We cannot thank them enough! My husband and I just recently got married in Aruba of March 2017, and we were so lucky to have Crooze Photography as our wedding photographers. Marc and Cassandra are so talented and passionate about their work. You can truly see this when talking with them and especially in the photographs that they capture. When we got to see our photos for the very first time, we were awestruck! Corey and I laughed and cried as we went through each photo, one by one. It truly brought us back to that day for us. Because of their remarkable talents as photographers, we will forever be able to relive every moment of our special day. Not only did they capture each special moment of that day, but they also captured the emotions and people's personalities with the amazing candids that they took. The photos truly tell a story, our story, and we couldn't be happier with the photographs that they captured and have given to us! They have such an eye for detail. You see it in the photos with the ocean and skyline in the background...with the constant moving waves and the lighting changing during the sunset...their timing and precision is just extraordinary! Their talent truly is what makes the photographs unbelievable. They are so creative as well, one of the many favorites that we have are the photos where they took our silhouettes and somehow added the photos of the palm trees as the background...just absolutely, breathtaking and so unique. We knew before hiring them, that they were phenomenal photographers, but to see it within our very own photos is like no other! I don't think any other photographers could have captured the emotions, details and story of that day as beautifully as they both did. They exceeded our expectations on every level. Their photographs are true works of art. We literally planned our wedding around Crooze photography!!! They recommended a planner and our wedding was ZERO STRESS!!!! We showed up and everything was ready - and then when we got the pictures, it was the best part!!!! We get compliments from everybody who sees them! High, high quality photography! Check out their pictures, and I know you'll book them too!!!! Thank you Marc!!! Cassandra and Marc are phenomenal! Their service was amazing! We had some unexpected rain and they waited for the location change to make sure we got all the important events photographed. We received the photos so quickly after the ceremony and they are all so beautiful I just can't stop looking at them.